Journey through the captivating landscape of Zambia aboard the Royal Livingstone Express. 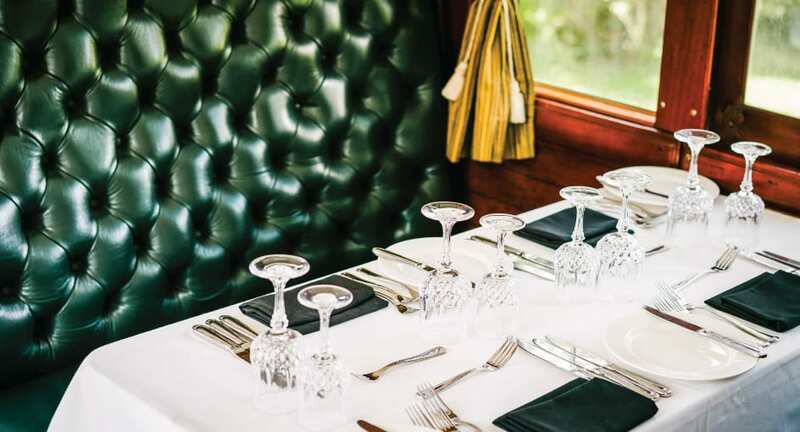 A beautifully restored steam train is your home for five courses of gourmet fare. Begin with a cocktail or glass of bubbly. As the meal unfolds, take in mesmerising views of the national park, Mosi-oa-Tunya. As the train passes over the Victoria Falls Bridge, watch the rush of tumultuous water. The unbridled wildlife of Africa is revealed before your eyes as you enjoy Royal Livingstone Collection wines or a beverage of your choice.